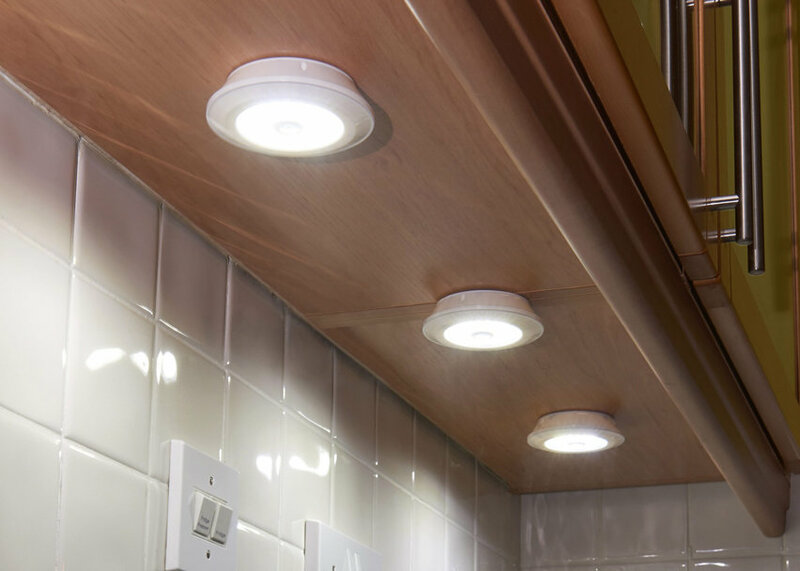 The ideal accessory for any home, this 3 pack of wireless super-bright LED lights from AGL are perfect for bringing light to under cabinets, wardrobes, drawers, shelves and more. Easy to install, the pack is complete with a remote control. Does as described & ideal for places where mains electricity not easily available. I am using the lights on TOP of my cupboards to highlight the copper I have on display. It looks great! Very pleased with these lights. Will get some more to fill up more shadowy places. Need to give some light to a dark area, this pack of super-bright LED lights can be installed anywhere you need light. 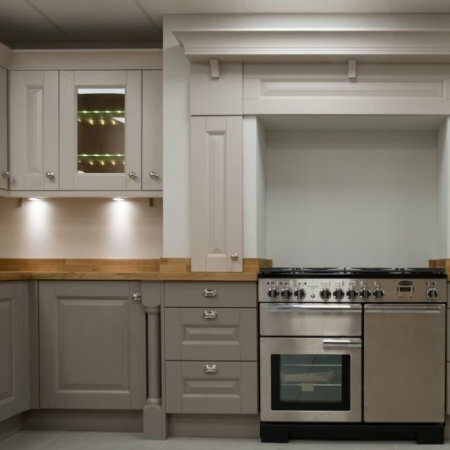 Each light features 16 cool white LED's, built into a casing that can be attached under cabinets, cupboards, drawers, wardrobes, shelves...the possibilities are endless. 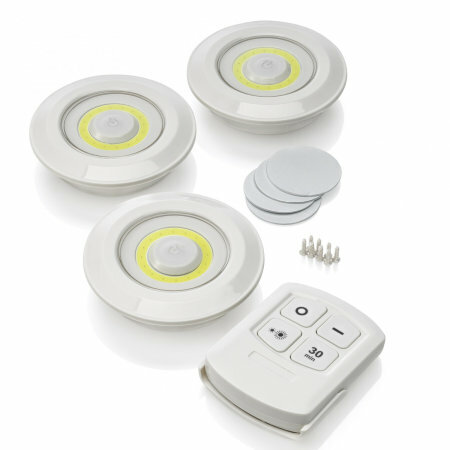 The AGL Wireless LED Lights activate with the built-in one touch button or alternatively can be controlled with the provided infrared remote control. 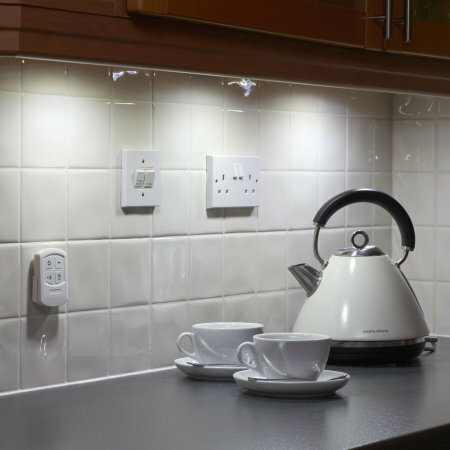 With the ability to control the lights from up to 10m away, the remote controls allows you to switch on / off the lights, in addition to being able to dim the LED's and put on a 30 minute timer. 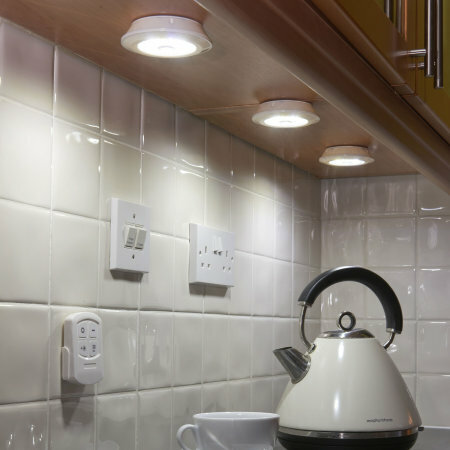 The Remote Controlled LED Lights from AGL are totally reliant on batteries, so there's no need to find a spare mains socket or run an annoying extension cable to your preferred spot. Using just 3 AAA batteries (not included), you can activate each LED light - giving you a significant amount of time before you need to replace the power source. With the Wireless LED Lights from AGL, you can choose exactly where you want more illumination thanks to two different mounting solutions - an adhesive pad or using screws, depending on where you're installing the light. 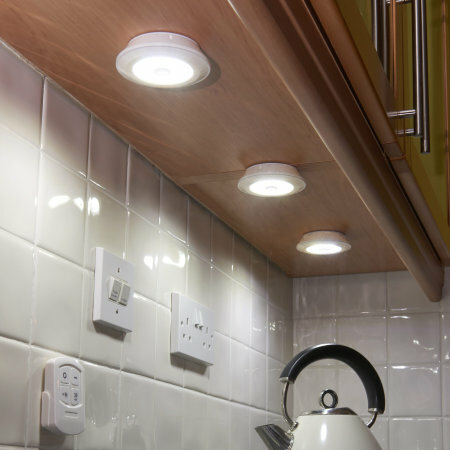 With this choice, you're sure to find the perfect way to install, display and utilise this handy set of LEDs. The remote control is also provided with a wall mount, perfect for keeping the remote safe and secure.